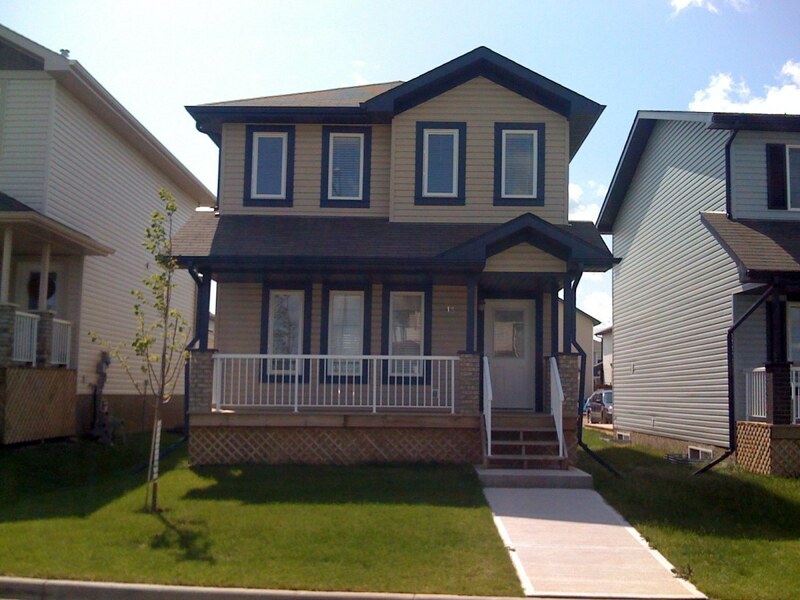 This beautiful 2 story house in located in the popular Spruce Village subdivision. This house is close to many schools including Grey Stone, St. Marguerite, and St. Thomas, and is just a hop, skip, and jump to the yellow head. This 1300sqft. 2 story, has a large open concept main floor with a big kitchen, a half bath, a nook and a cozy living room. The upstairs has two comfortable rooms which share a common full bathroom, and the master suite, which contains a walk in closet and a full ensuite. The basement is unfinished which allows for lots of storage space. This lot is fully landscaped with a single car park in the rear, accessed by an ally, and a large rear deck great for entertaining and a fenced yard. The subdivision offers a dry pond, numerous parks including the large Jubilee Park and an array of different styles of homes. The house will be available on May 1st, 2019 Rent will be $1700.00 per month with a $1700.00 damage deposit. This is a non smoking property, and pets are negotiable.